July 26, 2017 Launchers, Software, UtilitiesLespeed Network Technology Co., Ltd. Wise Hotkey is a simple and easy- to-use program that can help you improve the efficiency of using computer. It can implement that quick start or quick switch any application, folder or website by using keyboard shortcuts. When we use computer in our daily life, we run certain programs every time. With Wise Hotkey, you can launch these applications by keyboard shortcuts. It saves time to find and mouse click. Users not only can add frequently used applications, but also can add folders or URLs. Have you ever used “Win/Alt + Tab” to switch? Do you feel it works very slowly? With Wise Hotkey, you can switch to the certain application by a single keyboard shortcut. Wise Hotkey allows users to customize their own shortcut key. Users can create shortcut key for applications according to their own keyboard operation habits. Fast Paste and Auto Fill Form is a clipboard tool software. It can fast paste text and automatically fill form to application software. The application software is not only browser but also any software. If you want to repeatedly type. Fast Paste and Auto Fill Form can save a lot of time for you. You can also enter your emails, name, passwords, phone number etc to database of Fast Paste and Auto Fill Form then fast paste these messages at anytime. 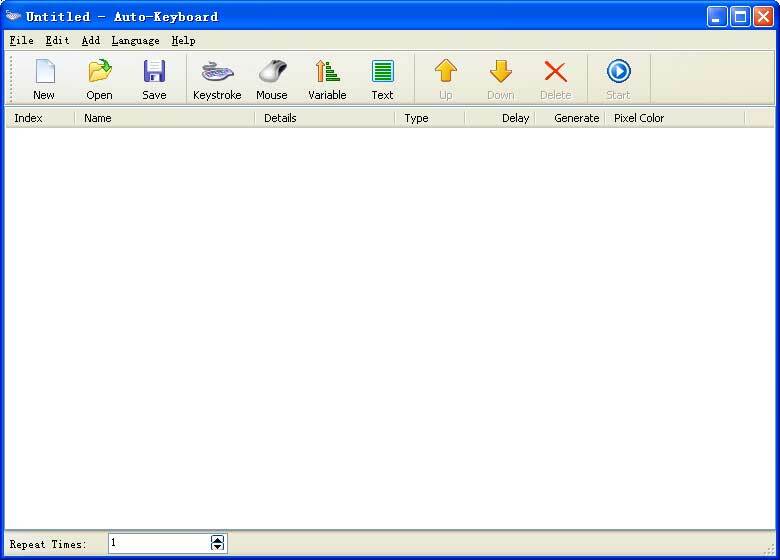 Auto-Keyboard is a software that imitate keyboard keystroke and mouse action. You may enter a group of keystrokes or mouse actions then it will automatically and repeatedly generate the group of keystrokes or mouse actions. Auto-Keyboard can economize a lot of times for you if you have a lot of and repeated keyboard or mouse working. December 14, 2014 Launchers, Software, UtilitiesTriSun Software Inc.
Advanced Recent Access is designed to see and open your recent used resources (files and directories). Key features: can see more properties of the recent resources, such as path, size, type, date modified, date accessed and date created. Automatically record accessed times. Sorts the recent resources by accessed times in descending order by default, so as to let you to quickly access the high frequency resources. Automatically delete the nonexistent recent resources. Can quickly filter the recent resources by their types, such as directories, documents, images, audio, videos, compressed and others. Can sort the recent resources by any above properties. Displays recent resources count. Automatically refresh recent resources list. Automatically remember the order and width of the columns. Automatically remember the size and location of the main window. Can hide some columns that you do not want to see. FastOpen is a small tool that can quickly launch a program or open a file. By clicking on the task bar icon or use the hotkey to invoke the tool, you only need to knock on the keyboard and then an “Enter” to quick-start the programs or open the files. Several functions have been integrated into the tool, such as Internet searching, online translator, weather forecast, Internet explorer, sending e-mail, DOS commander and file browser. By using it, your working efficiency will greatly improve by 20%, or even 30%. Install Unattended is an automatic software installer. Install Unattended frees you from the routine work of program installation. No programming required. The Install Unattended program will install all the necessary programs for you automatically, handle registration data, and more. Allows the product to be used by 1 user on 1 computer. You cannot use the program to automatically install applications on other PCs. Allows the product to be used by not more than 5 users. You cannot use the program on more than 20 PCs. Allows the program to be used by an unlimited number of users in one certain location on an unlimited number of computers physically located in one certain LOCATION. LOCATION usually means one building, but it can also mean several buildings geographically located in one place, for example, a factory or a small town. Automation Software for business and home! MultiSet – Leader in Unattended Software Installation! Create a standalone software installation CD!